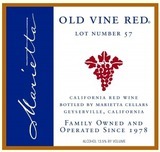 We have been making Old Vine Red, our proprietary Zinfandel based blend, for over three decades now. We always feel like we hit amazing consistency in the blend, but it rarely falls right into place like it did with Lot 57. Aromas of juicy and bright red fruits (cherries, raspberries, etc) are packed next to fresh plums and black currants. Some complex layers of licorice, sweet earth, and spice follow in turn. A full and rich mouth feel leads to soft textured tannins and lingering fruit flavors. 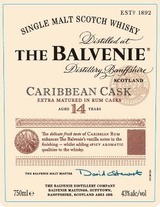 The acidity picks up just enough to bring the finsh home in a concise and clean fashion.